Show and Tell Meg: DJ Hero 2 Wii Bundle - $13.12 on Amazon - Shipped! 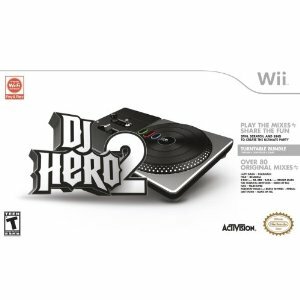 DJ Hero 2 Wii Bundle - $13.12 on Amazon - Shipped! Hurry over here to grab the DJ Hero 2 Turntable Bundle for the Wii for only $13.12! This is eligible for prime or super saver shipping too, so you won't be charged shipping if you comply with one of these options! This is a great deal - I couldn't even find it on Ebay for cheaper than $30. At this price, I bought two so we can battle :) Grab one before they're gone!